All the photos come from various areas of the Red Sea, mostly from Marsa Alam where with a little luck you may encounter the Dugong, which lately rarely shows it. 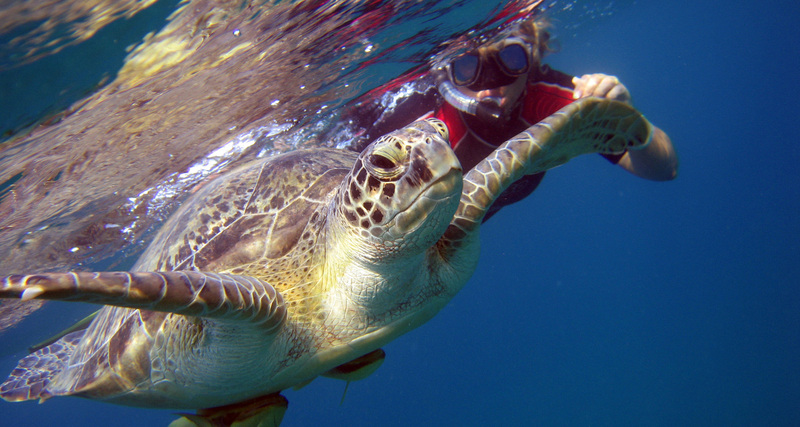 It ‘s easier instead to experience the thrill of swimming with the turtles while they eat the poseidonia. The continuing massive and often uncontrolled flow of tourists, unfortunately, is changing the habitats of these places the consequence is that many of the beauties of the Red Sea are ruined and in the case of animals they are moving into quiet places, at least as long as they remain so. In more than ten years that I visited these places, I have seen many pristine places become deserted coral ruined. Egypt is not ready to promote sustainable tourism if you think that most of Marsa Alam is a protectorate of an emir of Saudi Arabia. The good Mubarack sold for a few dollars per square foot almost the entire zone, including the airport, few people know, is private property of this emir.